I have been growing lavender in my garden for over 10 years and I’ve always wanted to use lavender in recipes, but never have….until now. I thought and thought and then decided to make Lemon Lavender Bars. 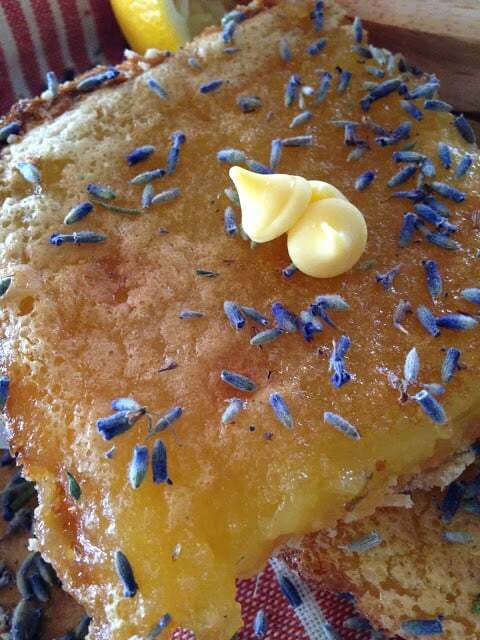 I couldn’t think of a better marriage than lemon and lavender. From the first bite, you immediately get a tangy, lemony taste from the lemon and then a perfumey, floral lavender taste. The lavender was faint enough that it didn’t take over and wasn’t at all overpowering, it paired really well with the lemon. I added a 1/2 teaspoon of dried lavender buds, crushed, to the crust and then sprinkled about 1 teaspoon of dried lavender buds, crushed, over the lemon filling before baking the bars. I wasn’t sure how much dried lavender buds to use and didn’t want to over do it, the first time around. By crushing the dried lavender buds between the palms of my hands, to release the oils in the buds. This will make the dried buds more fragrant. 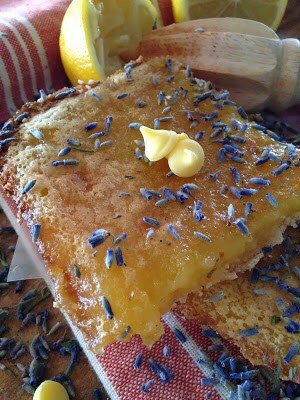 This recipe was amazing…the wonderful, perfumey lavender scent that came from the oven while baking was so enticing. The heat from the oven released even more of the lavender scent and my whole house smelled beyond good! I was so glad I challenged myself to add lavender to a recipe. If your somewhat hesitate about using lavender in a recipe, don’t be. Start out by adding just a small amount and increase it over time. Adding lavender to a recipe might seem a little scary but as I mentioned above, experiment with it! Grow a lavender plant in your garden, which is very easy by the way, and try, try again. Start with fresh lavender by adding a spring to ice tea. See how that works for you. Then in the summer when the blossoms are ready, pick your lavender, bundle it and dry it by handing it upside down in a cool, dry place. You’ll have plenty of lavender to experiment with. Lemon bars with a hint of Lavender. Perfect. In a medium bowl combine flour, confectioners' sugar and lavender; cut in butter until crumbly. Press into an ungreased 13 x 9 x 2 inch baking pan. Bake at 350º for 20 to 30 minutes or until lightly browned. In a large mixing bowl, beat eggs until frothy. Stir in lemon juice and peel. Combine the sugar, flour, and baking powder. Stir into the egg mixture. Pour over crust. Sprinkle lavender over top. * Bake for 25 minutes or until set. Cool on a wire rack. Cut into bars and sprinkle with confectioners' sugar if desired.